Nonprofit organizations are required to register in most of the states they plan to fundraise. Professional fundraisers also must register in multiple states. Telefundraising is highly regulated. Though some exemptions exist, states typically do not require registration if the nonprofit is a religious organization, hospital, or educational institution. It is important to follow state requirements regarding exemptions before soliciting funds. 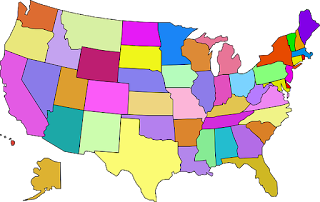 Charitable solicitation registration is required in 41 states and the District of Columbia if your nonprofit does not comply with an exemption. Delaware, Iowa, Idaho, Indiana, Montana, Nebraska, South Dakota, Vermont & Wyoming do not ask that you register. The state of Arizona requires veteran organizations to register. Louisiana requires registration if a nonprofit hires a professional fundraiser to solicit in its state. Missouri exempts 501c3, 501c7, and 501c8 organizations after a one-time application. Last but not least, Texas will require a charity to register if it is a veteran or law enforcement organization, or public safety group. Many nonprofits outsource their charitable solicitation initial and renewal applications to a professional firm that specializes in nonprofit philanthropic registrations. Hiring a pro removes the worry of having your application returned for forgetting to cross your “t’s” and dotting your “I’s.” A professional service can also relieve the tension of meeting deadlines in multiple states. This above blog post is for informational purposes only. The material discussed should not be construed as legal advice or a legal opinion on any specific facts or circumstances. You should consult legal counsel concerning your own situation and any legal questions.